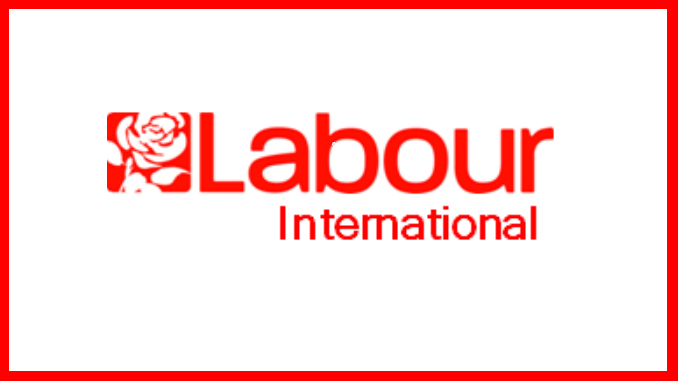 Here is the wording of the Labour International motion that will be discussed at the Labour Party Annual Conference in September 2018. A pdf document with the motion and additional information can be downloaded below. A. If the CLP is not represented in Parliament by a member of the PLP, a timetable for selecting the next Westminster Parliamentary Candidate shall commence no sooner than six weeks after the election and complete no later than 12 months after the election. B. If a CLP is represented in Parliament by a member of the PLP, then a timetable for selecting the next Westminster Parliamentary Candidate shall commence no sooner than 36 months and complete no later than 48 months after the election. The sitting Member of Parliament shall be automatically included on the shortlist of candidates unless they request to retire or resign from the PLP. It’s an improvement. Next we need to do something about unelected officers in the party that have actively worked against our elected leader. Absolutely. Makes sense and is increasingly necessary. Not having open selection is holding back the party from it’s return to socialism because there is a residue of Blairites whose views should disqualify them from being in the party anyway. If local members can’t decide on who stands to represent them then we are not a grass roots democratic party. Agree. Open selection is a healthy democratic approach. No-one who is dedicated to fully representing their constituents has anything to fear. It makes sense and current evidence suggests it is increasingly necessary.